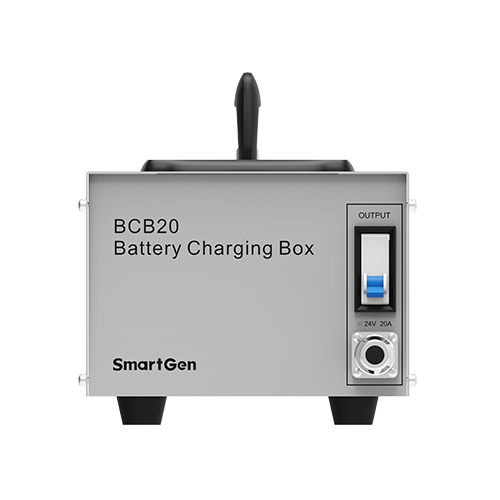 BCB20 battery charging box is intelligent and multi-function which is specially designed for meeting the charging characteristics of the lead-acid engine starter batteries. Suitable for 24V or 12V battery and the maximum charge current is 20A. 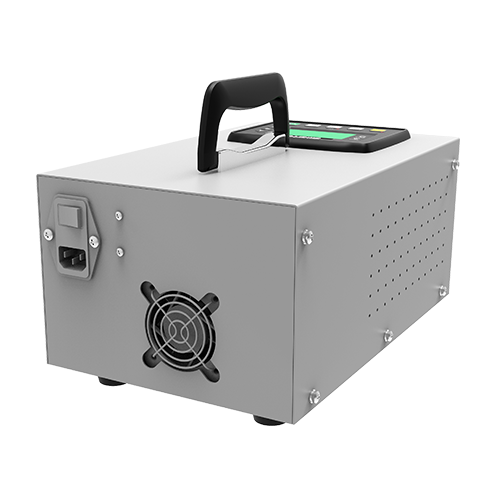 With partial graphic LCD, BCB20 can not only display parameters like input/output voltage, current and power, but also can record charging process and form related charding curve to realize real time protection for the battery charge. Parameters can be configured from front panel and language can be chosen between English and Chinese. 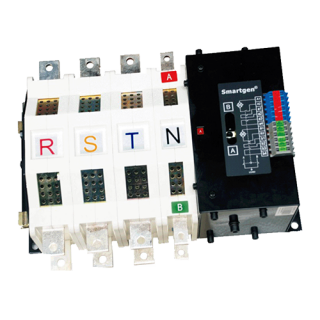 It has compact structure, simple connections and high reliability. 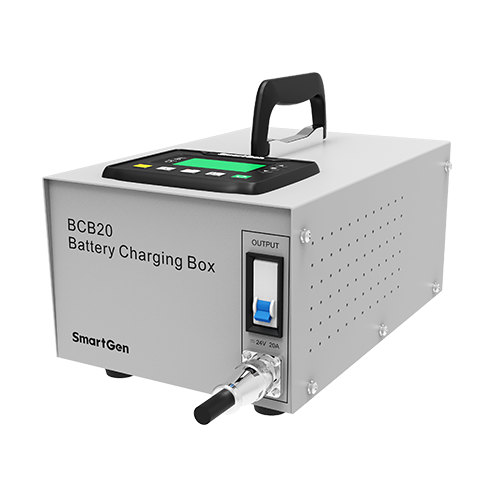 BCB20 battery charging box is intelligent and multi-function which is specially designed for meeting the charging characteristics of the lead-acid engine starter batteries. Suitable for 24V or 12V battery and the maximum charge current is 20A. 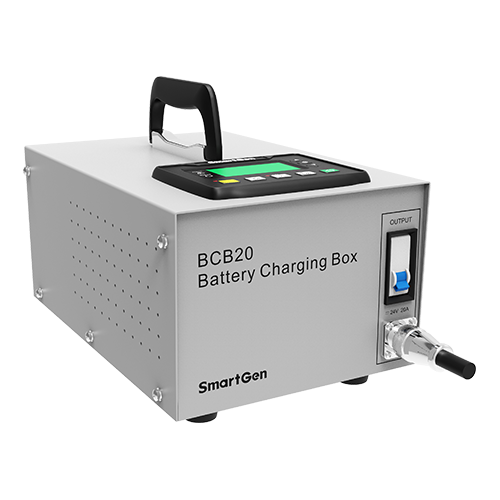 With partial graphic LCD, BCB20 can not only display parameters like input/output voltage, current and power, but also can record charging process and form related charding curve to realize real time protection for the battery charge. Parameters can be configured from front panel and language can be chosen between English and Chinese. It has compact structure, simple connections and high reliability. BCB20 battery charging box is composed by BCM4 display module and BACM2420 battery charger. a) 132×64 LCD display with backlight, language can be optional(English, Chinese), easy operation. b) Collect and display parameters like input/output voltage, current, power and etc. c) Record and display battery charging time. d) Screen backlight duration can be set. e) Monitoring battery charging process, so as to track battery charging stage and display battery voltage which has been charged. f) Recording charging volt/current and forming charging curves according to the record. 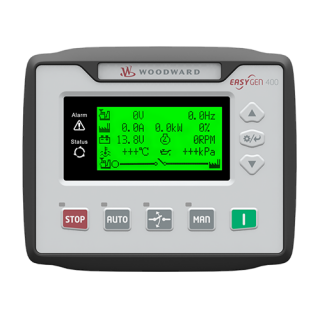 g) With fail to communication, fail to charge and mains failure warning display function. h) Switching power supply structure with wide AC voltage range and high efficiency. i) Users can select automatic two-stage charging process or automatic three-stage charging process as needed. 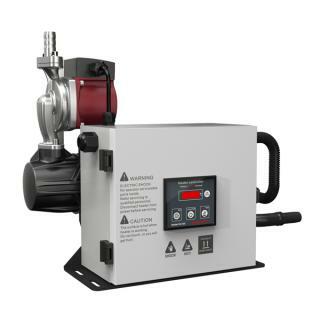 Both the two charging process are carried out according to storage battery charging characteristics to prevent overcharging and significantly prolong battery lifetime. 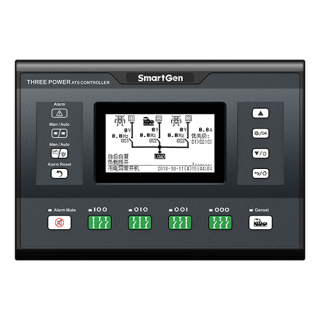 j) Built-in PFC circuit can calibrate the power factor above 0.99.
k) 20A rated charging current, and output current can be adjusted. l) It is suitable for 24V battery or suitable for 12V battery after changing the configuration information. It also can be set as self-adaption that can auto adjust battery volt types.